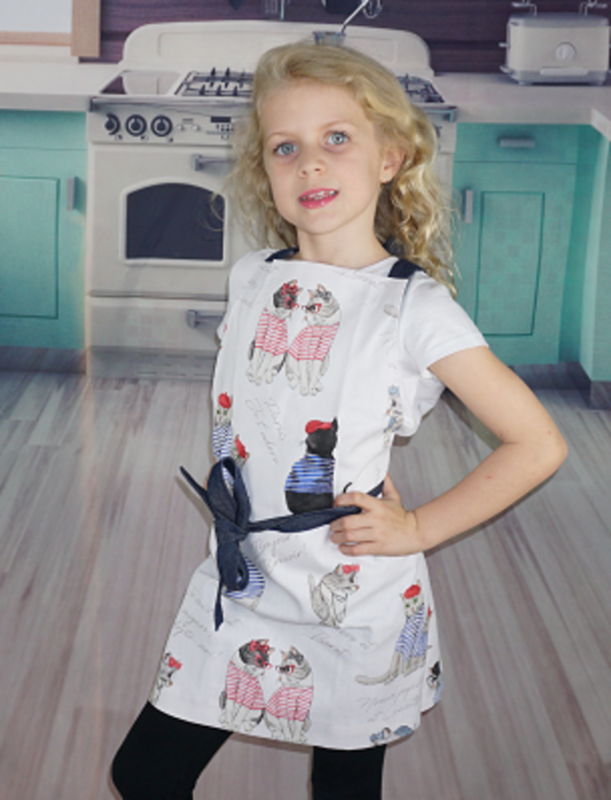 Our Paris Cat Kids Apron is not only Modern and Stylish it is practical and easy to use. As a general guide our Kids Aprons fit most 3-10 year olds. Matching Mummy/Nanna Apron available too!